The Futura family of tires, a Pep Boys proprietary brand of tires, offers outstanding value in the touring tire, performance tire and truck tire segments. Futura LTE is our featured line, which delivers good mileage, a comfortable ride and all season handling. The Futura HR and VR lines offer "H" and "V" speed rated all season touring performance for the budget minded consumers. 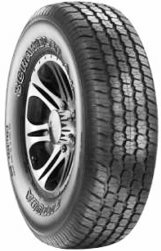 And finally, the entry level all season SUV/light truck tire - the Futura Scrambler delivers year around traction for the economy minded shopper. 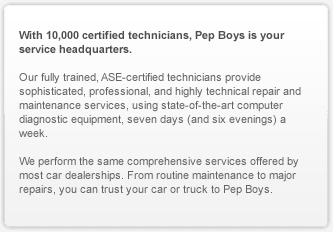 Pep Boys' commitment to quality tires and customer service has been our priority for nearly a century. With the best selection, know-how and installation, we take pride in keeping you and your car on the road.